Hello! 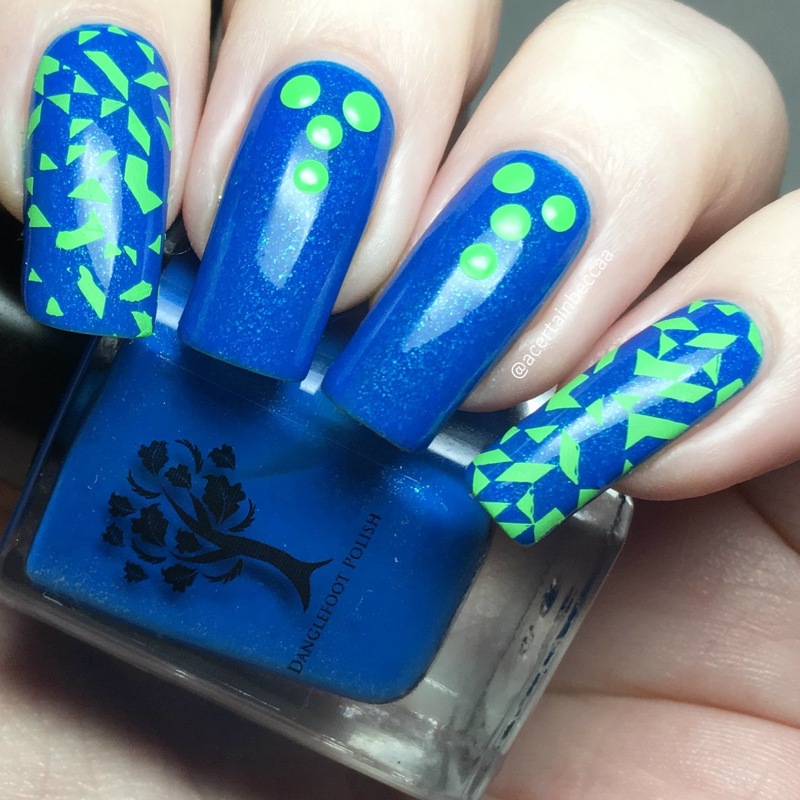 As promised in my last post, today I have some nail art using the new neon quartet from Danglefoot Nail Polish. If you missed my swatches of the four polishes, you can find those here. I felt really inspired by them all, and couldn't stop doing nail art once I'd started. 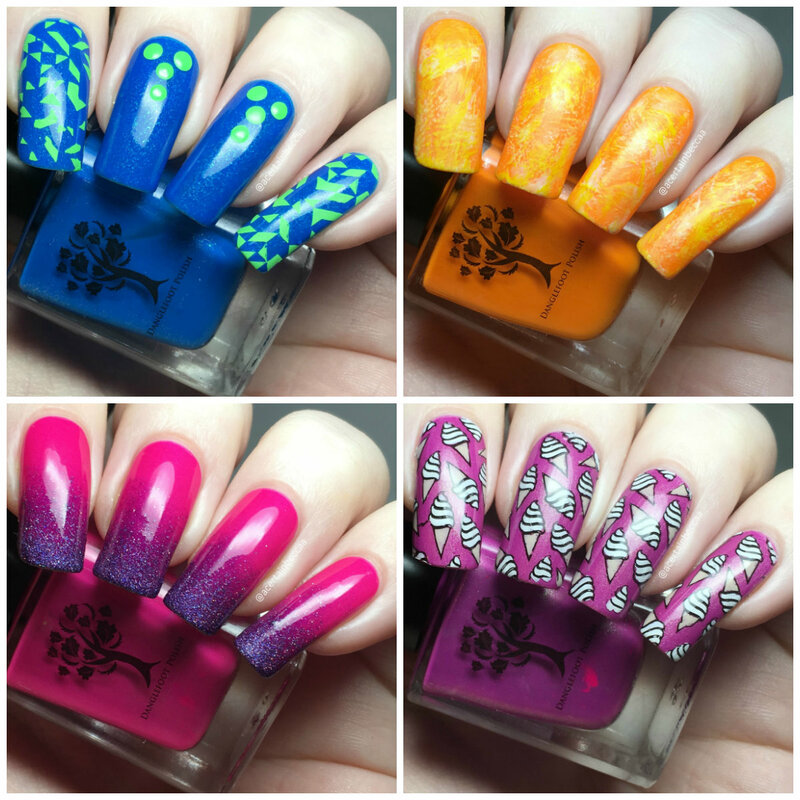 Read on for a closer look at each mani and more info! First up is my mani using 'Mr Blue Sky'. 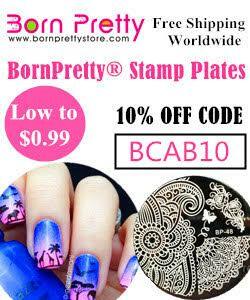 Using Esmaltes Da Kelly 'Bruce', I stamped my outer nails using UberChic Beauty plate 9-01. On my middle two nails, I simply added a couple of dots of 'Bruce'. For 'I'm a Believer', I played around with drybrushing. I dry brushed over the top using Sally Hansen 'Lightning', a neon yellow Born Pretty Store polish, and NCLA white 'Ask the Magic 8 Ball'. I then added Barry M's matte topcoat. 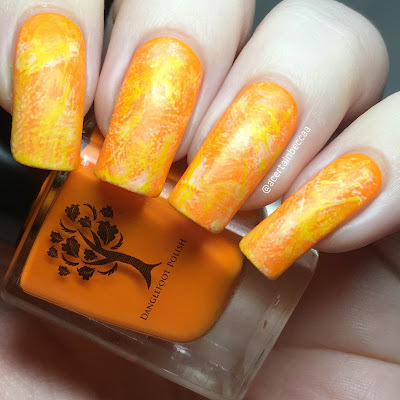 Next up, I did a faded glitter gradient look over 'Electric Avenue'. 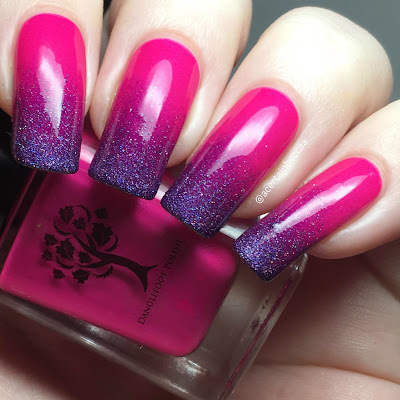 Using a sponge, I applied Danglefoot 'Love You Berry Much' starting at the tips of my nails. I added topcoat to smooth out the final look. Lastly, I added some ice creams over 'Living on a Prayer'. 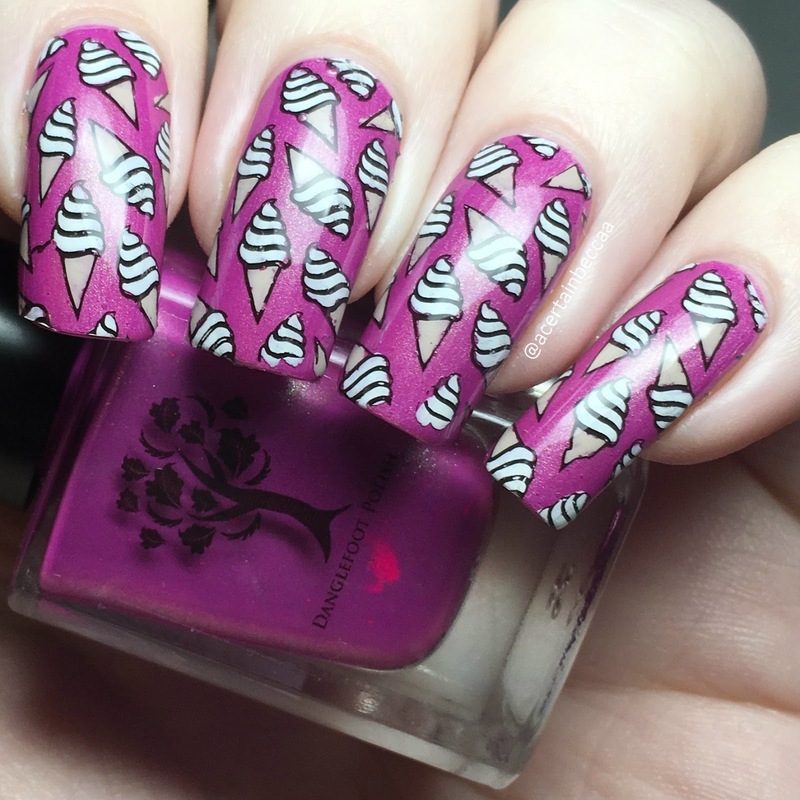 I made decals on my UberChic Beauty mat using plate 9-01, stamping using Hit the Bottle 'As Black as Night', and colouring using Essie 'Sand Tropez' and NCLA 'Ask the Magic 8 Ball'. What do you think? Which mani is your favourite? As mentioned, I've been really inspired by these neons recently. I've been trying to branch out with nail art instead of stamping everytime. While I still did stamp for two of these, I really enjoyed playing with dry brushing and glitter tips - both techniques I haven't used for a while!